is Afro Jack an Afro? 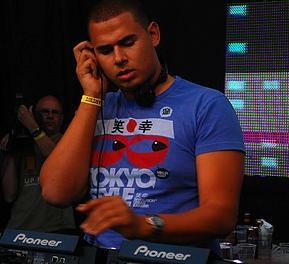 No Sanza, he calls himself Afrojack because he had an Afro. thank you Afro-Europe. that's what I was thinking so I just wanted to make it clear. this is so stupid to nickname yourself afro because of your hairstyle! So he is not Black?? Hey Negroamor4u, how have you been friend? Sanza i'm good and you? I sent you an email but never heard back from you?? Hit me up! He has a Surinamese father> That means he is half black. I'm Proud of Afro-Jack..He Represents Us all. Keep on Grinding Brother..appreciate Your Work, Your Art..but more NB!!! Sharing Your talent with Us all. God Bless.